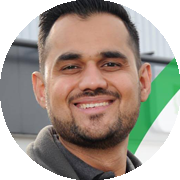 Lifestyle Express is an award winning Symbol Group operating in England, Scotland and Wales, part of Unitas Wholesale, the UK’s largest independent wholesale services company. Our aim is to find the perfect balance of maintaining your independence and identity while providing you with the industry leading support and direction required to succeed in today’s marketplace. Symbol Group membership can transform your business and as a Lifestyle Express retailer you have the choice of three modern fascias to suit your store format to make it stand out, and you will benefit from a greater level of support from your local wholesaler and the Unitas Wholesale central team. For further information on becoming a Lifestyle Express Symbol retailer, please contact us on 0843 523 5244, or complete the form below, and someone will be in touch to follow up your enquiry. If you're happy to receive industry-leading insight and updates from Unitas Wholesale via email, please tick this box.